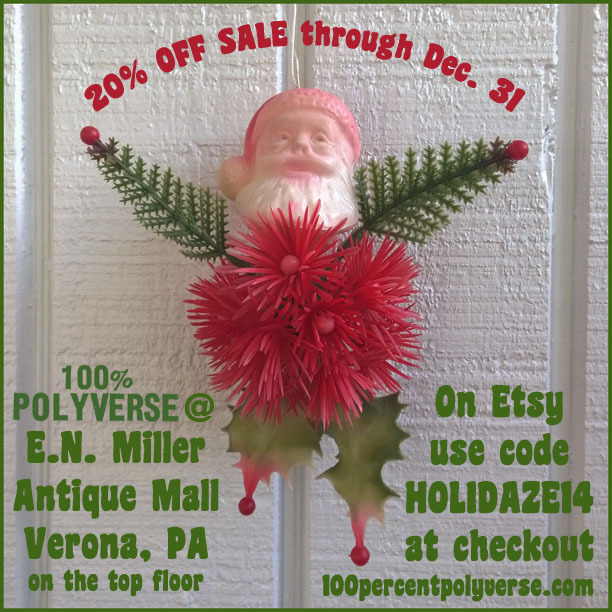 From now through December 31 we’re having a 20% off sale both online in our Etsy shop and in our space at E.N. Miller Antique Mall, Verona PA, on the top floor! 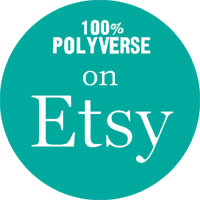 On Etsy, just use coupon code HOLIDAZE14 at checkout to receive 20% off your order. On Saturday, December 13th, we’ll be at E.N. Miller from 12-5 for their special holiday open house, where there will be raffles, prizes, and discounts galore from all the dealers at the mall. We hope to see you there! Happy Holidays from the Polyverse!